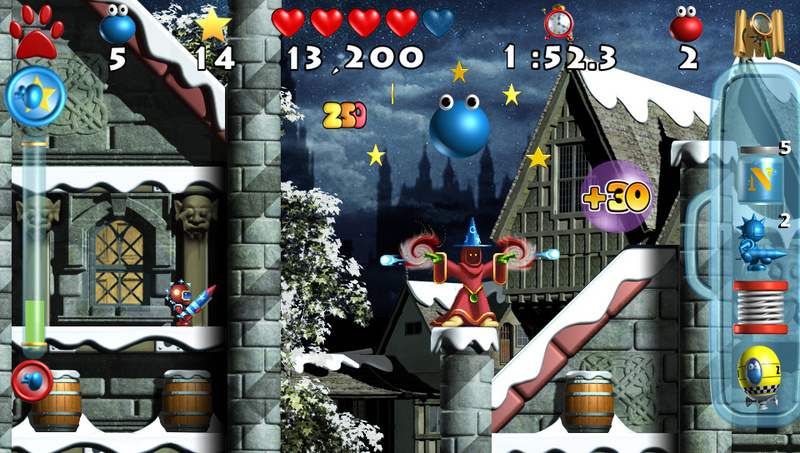 System 3 has confirmed that it is bringing Putty Squad to the Wii U and 3DS. The game is a remake of the 1992 Amiga classic, and boasts improved visuals, enhanced gameplay and the promise of free downloadable levels. The game is expected to arrive this Summer. 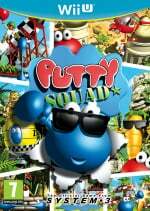 The UK’s most successful independent games publisher, System 3, is proud to announce the return of gaming’s most loved stretchy blue blob this summer, in the revolutionary platform action-adventure, Putty Squad. The critically acclaimed Putty Squad first made its way on gamers screens on the Amiga in 1992 and now the old-skool hero, Putty, returns to celebrate System 3’s 30th year anniversary. Putty once again takes on a stirring quest to rescue his kidnapped friends in a reinvigorated and reimaged modern platform game. Putty Squad has taken a complete overhaul in graphics to give a modern immersive experience, the gameplay has been finely tuned and downloadable free levels will be available. With Putty you can inflate, morph, stretch, lie flat and absorb. The unlikeliest of heroes has unique powers than any other imaginable. I'd love to see more Amiga classics coming to Wii U VC. How about Shadow of the Beast, Wings, Speedball 2, It Came from the Desert and New Zealand Story for a start?! The original was awesome! Hope System 3 can still deliver the goods. @datamonkey "Speedball 2" would be oh so awesome! Btw "New Zealand Story" is from Taito so I'm sure the Megadrive or PC Engine version might show up some day. Maybe even the original arcade version... I miss Tiki! Well that looks interesting. Never heard of it before, but that's worth a look on the eshop. @datamonkey Wasn't NZ Story on Wii VC already? And why not a Mr. Nutz after Putty Squad? Well, even though that tastes strange, i will give it a try maybe. Never heard of this game but it certainly looks.... interesting. VERY VERY VERY VERY EXCITED!!!!! The original was actually completed for the Amiga, but then never released! It was even reviewed and got loads of 90%+ scores, and there were magazine demos and everything. However it was converted to the SNES. (But it's still a bone of contention in the Amiga emulation/retro community that System 3 continue to refuse to release the completed Amiga version). EDIT: Sorry, you could have learnt most of that by watching the video... Hey, I wonder if they'd consider releasing the SNES version on VC? I'd love me some Chaos Engine, or even some adventure like Flashback. One can dream. Amiga remakes? Bring me my Zipstick! So many good games mentioned above. Wiz 'n' Liz, Fury of the Furries, Bills Tomato Game and Indy Heat get my vote for remakes. did anyone play morph? you were a little red ball that could "morph" into gas and liquid and was a sorta puzzle platformer i used to love that on my amiga 32! hope to see more games getting this treatment. I had the SNES cartridge and it was a great puzzle game, very varied and quite challenging. I am excited about this and will definitely buy it! I like all the different platforming mechanics.... day one purchase. I just hope they are really good at level design. I guess nobody played Super putty ? released on the SNES in 1992 ? you have to move your way around the stage to collect robots and put them back in the mothership ring any bells anyone ? I remember the snes ones, they were good so I will keep my eye on this. Amiga??? Nobody i knew had an Amiga. There were a ton of great Amiga games that have never been re-released. I hope this is the first of many. Never played this one but I loved my Amiga games and this LOOKS like an amiga game (except for the enhanced visuals of course) - this looks like a right step in the direction of Nostalgia City! Before the SNES and Megadrive, I had an Amiga, and it was one of the best games machine I've ever had. Yeah, it was missing Mario and Sonic, and loads of the greats have been listed above. Special shout out to @MadAussieBloke tho for Moonstone, THAT GAMES IS TEH RULEZ!!! @JogurtTheYogurt That was the prequel to this game, known on the Amiga alternately as Silly Putty, or just Putty. The new visuals look pretty impressive to me. I'll need to look up more about this game to see how excited I should be about this remake. I will say that free downloadable levels are a big plus as well. No arguments here! Oh good, the return of the blob that eats babies and burps! @Ootfan98 Exactly. It is the one non-Sega system I'd like to see the most on the VC. Looks crazy! Might be fun!